Property title issues, while not exactly common, are a blunt reality today’s buyers need to be aware of. The property title — or deed as it is often referred to — is the single most important thing for buyers to pay special consideration to. It is the property title, after all, that discloses a home’s most critical information: everything from the rightful owner and vesting interests in the property to translating the ever-important details of liens, encroachments, and easements. For better or for worse, a property title will tell you exactly what you are getting into. Having said that, it’s in the best interest of today’s buyers to not only be able to identify potential property title issues, but also mitigate and remedy them as well. Public Record Errors: Unfortunately, something as small as clerical or filing errors could affect the status of your property title. Whether it was filed incorrectly ore even incomplete, negligence on the filers behalf is entirely possible, and entirely devastating. Liens: A lien is a legal claim of ownership listed on the title of a home. It is worth noting that anyone owed money by a homeowner can file a lien on a home, not excluding utility companies, contractors and tax departments. Easements: Easements represent another person’s right to use the land for a specific purpose. While not as common as liens, and may not eve prevent a property from selling, you must keep an eye out for easements. Encroachments: As the term suggests, encroachments identify pieces of property that encroach on other people’s land. That means the property you are looking to buy might encroach on another person’s land, or vice versa. Either way, a title report will bring these issues to light. Illegal Chain Of Title: As the name suggests, a chain of title represents each and every owner of a property. That said, each claim to ownership in said chain may not have been made legally. It is possible that a previous owner documented their title illegally, which could causes issues down the road. For example, it is possible for questions in previous ownership to affect future ownership. If your own deed includes a minor, a person of unsound mind, or one who is reported single but in actuality married, you could run into ownership issues. What Does It Mean When A Deed Is Not Recorded? In order to understand what it means for a deed to go unrecorded, it helps if you know exactly what the process of recording a deed entails. In the event you follow through on purchasing a home, it’s fair to assume your title office or escrow agent (whichever you have aligned your services with) will file your new deed with the appropriate authorities. Of course, it goes without saying, don’t simply assume your title officer did their part; follow up to make sure the process was completed. When done properly, recording a deed could take place anywhere in the neighborhood of two weeks to three months after the property is closed on. Otherwise known as “recording your deed,” this process will see to it that the right people know that you are now the legal owner of the property. Not only will you be able to claim ownership, but you’ll be able to prove it as well. Perhaps even more importantly, you will officially be on record as the legal owner. When a deed goes unrecorded, it means the proper authorities were not notified of your new status as a homeowner — in their eyes, you aren’t the legal owner of the property, which could translate into catastrophic issues down the road. How Do You Correct A Deed? If, for one reason or another, your deed goes unrecorded, it’s of the utmost importance that you take immediate action. Contact your title company or attorney as soon as you possibly can and inform them of the issue. I also highly recommend getting into contact with your loan originator, as there is a good chance they will be able to assist you in your efforts to record your deed. If for nothing else, it’s in their best interest to see to it that your deed is properly recorded, so it can’t hurt to ask. Their resources may make the process much easier. Unfortunately, it will be difficult for you to get things done on your own; that’s why you need to notify the right people immediately after it is clear that your deed hasn’t been recorded. Nobody is going to hold your hand through the process, so you need to mind due diligence and see it through. What Does A Title Company Do In A Real Estate Transaction? As their name would lead you to believe, title companies are extremely important to the real estate transaction process. More specifically, however, title companies are tasked with legitimizing real estate deals and — in some cases — issuing title insurance. Having said that, every real estate transaction will enlist the services of a title company; it’s their job to make sure everything is in place. It is the property title, after all, that discloses a home’s most critical information: everything from the rightful owner and vesting interests in the property to translating the ever-important details of liens, encroachments, and easements. The title company will most likely record the deed. In doing so, they will see to it that the proper authorities are notified of the change in the title chain; that a new person legally owned the home. It is also worth noting that title companies may also maintain the escrow account. “At the closing, a settlement agent from the title company will bring all the necessary documentation, explain it to the parties, collect closing costs and distribute monies,” according to Zillow. Why Do A Title Search On A Property? Performing a title search is the simplest way to mitigate potentially devastating risk over the course of a real estate transaction. Since the title (or deed) represents the legal owner of a home, it is absolutely imperative that there are no “loose ends” to complicate things down the road. If there are any questions — any at all — the ambiguity of an incomplete title could call into question the real owner of a home, and therein lies the most important reason to perform a title search: due diligence. 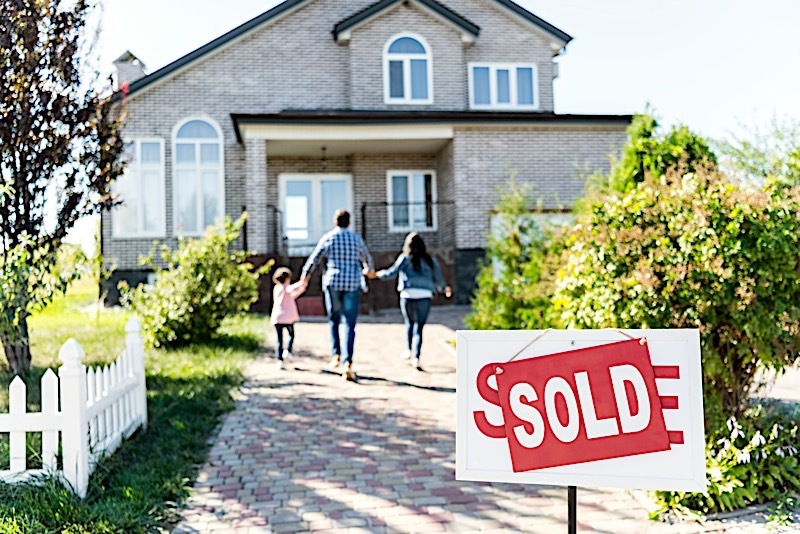 As I already alluded to, a title discloses a home’s most critical information; information you need to know before you consider buying the home. The title search just happens to be the process of uncovering said info. Property title issues aren’t all that common, but they do come up. What’s more, they represent some of the most devastating complications facing potential buyers. Title issues, after all, can very easily stop a deal in its tracks, or — at the very least — make things a lot more complicated for each party. That said, it’s in your best interest to avoid property title issues altogether. If avoiding them isn’t an option, however, take the right steps to remedy them as soon as possible. Property title issues aren’t all that common, but they are a sad reality, nonetheless. It’s in your best interest to know everything you can about a property title before you actually buy a home. The property title discloses a home’s most critical information.